Nice swell just finished up, sweet waves Tuesday into Wednesday. Notice how a good portion of the beach is gone, it is what happens when big north swells pound the shore for days. No worries, Apple Bay’s magic will bring the sandy beach back in a couple of days! 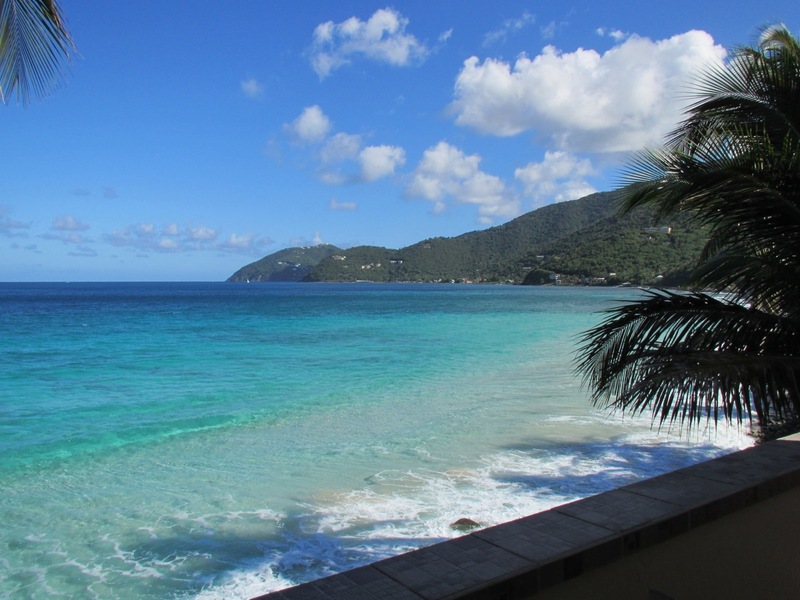 Apple Bay Tortola, we have recovered from Urma better than ever. Would say that more than 80% of the island’s restaurants, bars and grill are open with most all the roads in good shape. Ferry service from St Thomas to Road Town is back to normal with the west end ferry dock at Sopers Hole scheduled to open by the end of January. Apple Bay, Carrot Bay and Cane Garden Bay are happening! Come on down to sunshine and bliss, the beaches are looking good. The video above was taken from the patio at the Sea Breeze, the upstairs suite at Applesurf Villa. Apple Bay’s Magic Sand; 7 days after the north swell, the sand is back, soft and velvety. The wonders of nature! Picture above is 7 days after the video was recorded. In the summer time where Apple Bay stays calm, the sand comes right up to the sea wall in front of Applesurf Villa. A wonder of nature. Picture above of the beach at Apple Bay was taken before Hurricane Irma. Beach is very much the same minus our beloved coconut trees.